The holidays are here and it's time to deck the halls! Our decorating season began early: last week the boys and I attended a blogger holiday party hosted by Balsam Hill, a company that sells premium Christmas trees, wreaths, and holiday decorations. Three of their designers were on hand to showcase some of their wreaths and offer tips on how to decorate wreaths. Afterwards, we took part in a wreath decorating contest! 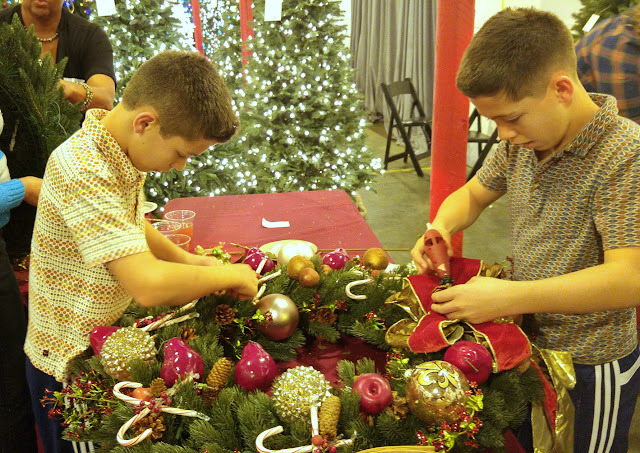 Bloggers were given a pre-lit holiday wreath and a choice of decorating materials, and 45 minutes to decorate. 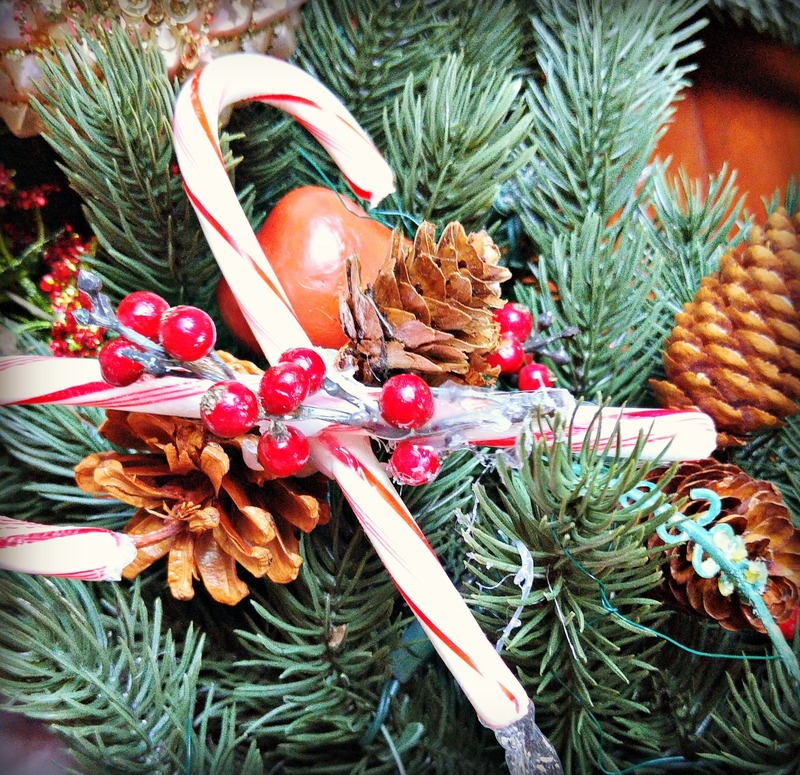 Don't start hanging ornaments on your wreath wily-nily! Decide what materials you're going to use (see tip #2!) and what theme you'd like to go with (see tip #5!). Lay your materials on the wreath so you can see if there are any bare patches (by the way, if your wreath is pre-lit, the cord can go either on the top or the bottom of the wreath -- just choose whichever orientation works best with your electrical outlets!). I've also heard that grouping odd-numbered items will make the overall effect more appealing and memorable. 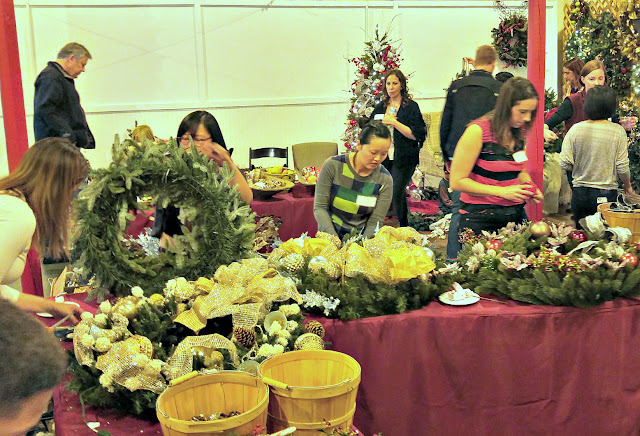 Traditional wreath decorating materials include berries, bows, and balls -- but anything goes! You can add anything from ornaments to cookie cutters to candy to pinecones to clothes pins to peacock feathers. 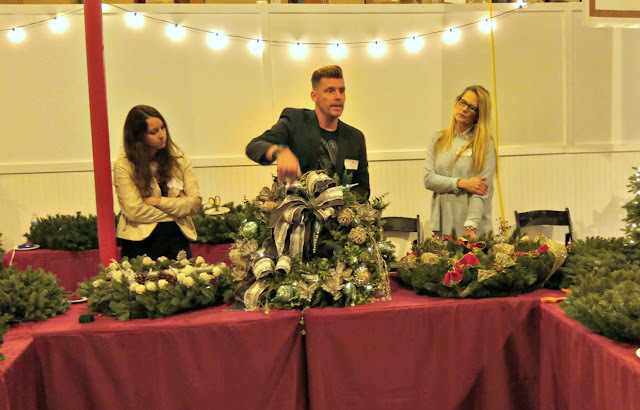 The wreath that Balsam Hill provided for us was so lush and thick that all we had to do was nestle ornaments in between the pine needles and they would stay put.... or so we thought. We were wrong. As soon as we lifted our wreath, things started sliding off! We had to wire each and every item with florist's wire. You can also hot glue materials to your wreath, which takes a lot less time and effort than using florist's wire -- but when you use florist's wire, you can disassemble the wreath at the end of the season and make a new one next year! Small, light items can be wired to the pine needles, but it's probably safer to wire heavier items and breakable ornaments to the wreath's central frame. If you really want your wreath to pop, add something "bongga" to catch people's attention and draw all eyes to your wreath. 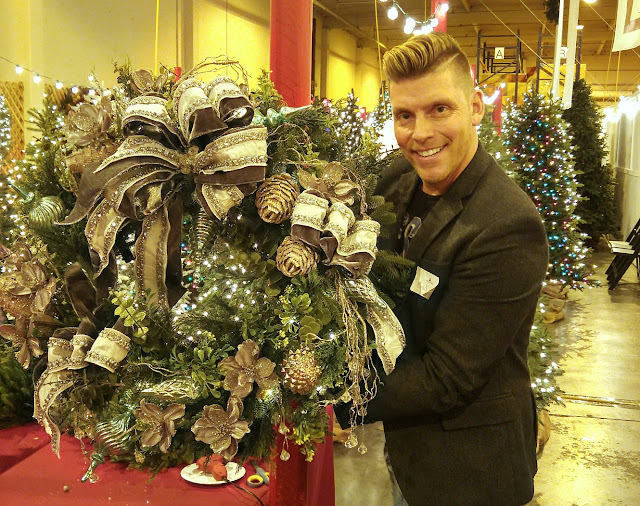 The focal point of a traditional wreath is a red bow, but again, anything goes. 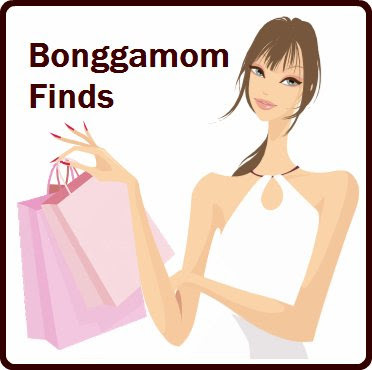 You could highlight a beautiful ornament, or a floral arrangement, or even a glittery animal figurine! Having a beautifully decorated wreath is nice, but having a beautifully decorated wreath that means something to you is priceless. One blogger was inspired by her family's love for the outdoors. 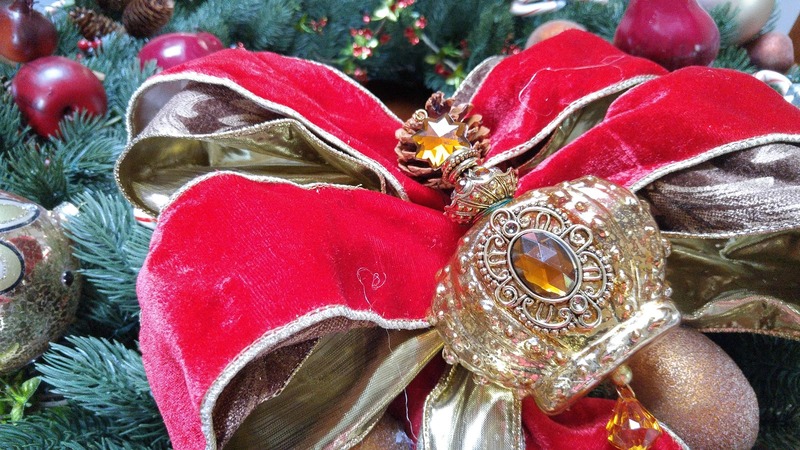 Another blogger's wreath had beautiful glass train ornament as the focal point because her daughter loves trains. 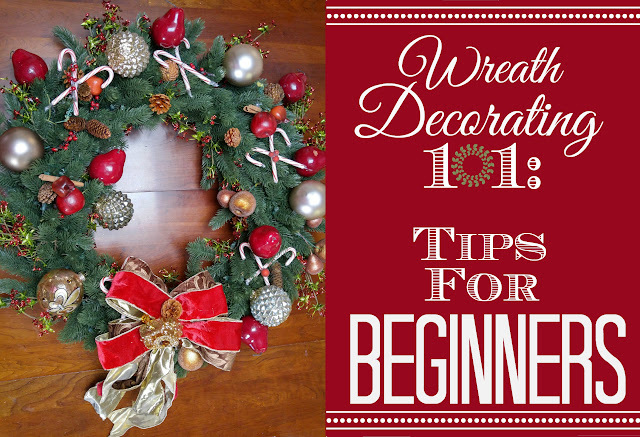 One blogger decorated her wreath in silver and gold because she loves those colors. 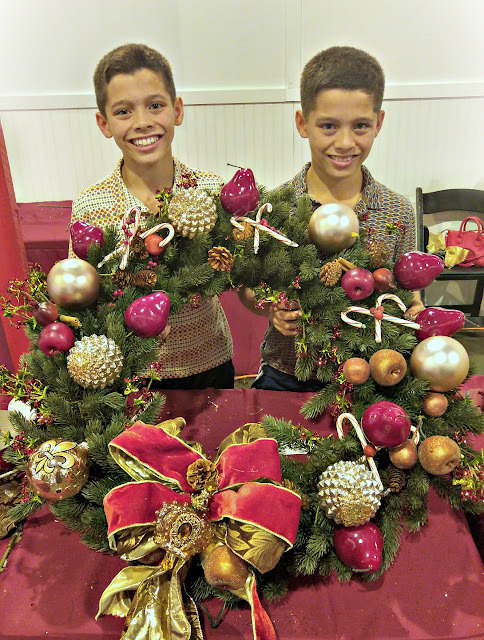 The boys and I chose food-themed decorations because food plays a big part during the holidays! I also made sure there were 5 candy cane bundles on our wreath to represent the 5 members of our family. Think about the things you love or the memories you've made and take it from there.